Here, at the end of the populated area, only tree frogs are spying on us ! 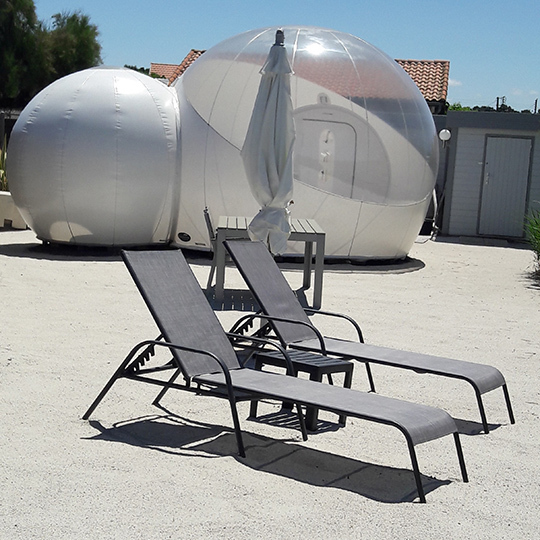 Located in Le Verdon-sur-Mer, facing the Marais du Logit (a preserved area), this partially transparent dome will enable you to watch the starry vault. You will fall asleep, totally relaxed, and have dreams you will remember. Try the unusual for a romantic evening or an original gift.